On July 29, I attended the Roadway Safety Audit (RSA) Workshop introduction organized by Bike Emory, Emory’s Rollins School of Public Health, and the Atlanta Bicycle Coalition. The workshop was ably led by Craig Allred, FHWA Resource Center Technical Specialist. RSA's are a formal process through which community members are trained to (1) recognize safety challenges that a particular section of roadway poses for pedestrians and cyclists, and (2) propose improvements or modifications that enhance safety and access for all. The resulting audit (observations and suggested improvements) is shared with local authorities and other stakeholders (e.g., developers, institutions, local government) who are in a position to secure funds and implement improvements. Local government typically issues a written response to the audit. This workshop was a preamble to an audit being conducted for the section of North Decatur Road between Clifton Road and Church Street. It was attended by several GA DOT employees, several City of Decatur employees, and Commissioner Jeff Rader. 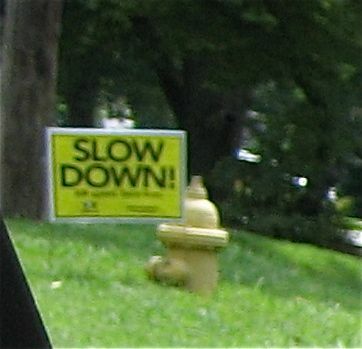 The impetus for the workshop comes from recent pedestrian and cyclist fatalities on North Decatur Road. Ghost bike and ghost chair memorials had been installed near the location of these fatalities (corner of North Decatur Rd. and Superior Ave.) by family, neighbors and friends of the victims; these memorials were removed by unknown parties on August 26. ...I participated in a Road Safety Audit focused on pedestrian and bicycle traffic on N. Decatur Road. 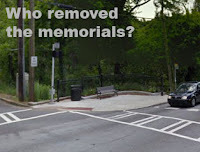 The audit was sponsored by the Atlanta Bicycle Coalition (ABC), Emory University School of Public Health, and Bike Emory and was led by a Transportation Safety Specialist from the Federal Highway Administration. The audit team included members of ABC, Bike Atlanta, PEDS, DeKalb County traffic engineering, our county commissioner, and members of the local community. We spent two days studying the conditions along N. Decatur from Clifton Rd. to Church street. The team traveled this stretch of road several times, reviewed daily traffic counts, crash data, and traffic flow. We then brainstormed solutions and will develop a report with recommendations by mid September. I am confident that the recommendations will be both feasible and effective. The Safety Specialist from FHWA is experienced in developing solutions for situations just like ours and presented several examples of solutions from around the country. I don't want to get into the details yet, but some of the items that MAY end up in the recommendations include road diet measures, sidewalk improvements, additional crosswalks, and repaving N. Decatur. Please hold comments until the final report is made available. I hope to present the report (with the help of ABC and Bike Emory) to our neighborhood associations in a community meeting. At the presentation I would like to begin a petition drive to request that our county officials implement ALL of the recommendations in the report. So please drive the speed limit and be a pace-setter! As soon as the audit is complete and ready for sharing, we will schedule a meeting venue and being the petition drive. UPDATE: Mr. Fred Boykin, City of Decatur Commissioner and owner of Bicycle South, posted on the DecaturMetro blog (comment section) that the results of this RSA will be shared on September 5. Read part II of this item.